Hitthebyline’s Ewan McQueen reveals why he thinks Kilmarnock boss Kenny Shiels has impacted positively in more ways than one on the Scottish game. Since filling the void left by the inimitable Mixu Paatelainen at Killie, an unlikely cult hero in Kenny Shiels has emerged, and has scarcely been away from the headlines. Things didn’t look good at the start for Shiels, as the Northern Irishman failed to win any of his 8 games as caretaker manager of the Ayrshire club. Many doubted whether he even had it in him to carry on the Finn’s good work. However, this season he has dragged his team by the scruff of the neck up to 6th position in the table, and has made many shrewd signings including his own son Dean, whilst at the same time retaining the easy-on-the-eye style of play introduced by his predecessor. 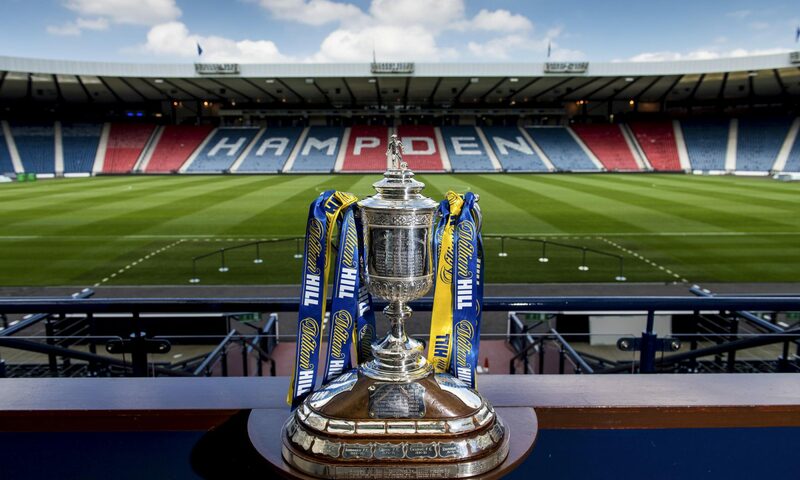 To put the icing on the cake for the Rugby Park faithful, he has also led Kilmarnock to their first cup final in five years, as his men now prepare to lock horns with the might of Neil Lennon’s Celtic on March 18th. But there’s much more to Shiels than just his success on the pitch. As a wavering SPL continues to face the ever-present danger of becoming stagnant, Shiels has introduced a colourful personality to the league at just the right time, and his comments that have landed him in hot water are undoubtedly a breath of fresh air, regardless of whether you agree with him or not. I feel the strong criticism he’s had is completely wrong. Infact, his honesty is a quality that should be admired. Until recently the Northern Irishman hadn’t really got involved in any spats with fellow managers. Instead, he went about re-building the Kilmarnock team who had lost some real quality in terms of Conor Sammon, Craig Bryson and Alexi Eremenko in the previous two transfer windows. But in the past few weeks Shiels has been involved in many disagreements that have threatened to overshadow the football on the pitch. The first of these came to light in the aftermath of Kilmarnock’s 1-0 win over their rivals Ayr United in the League Cup Semi Final. Despite requiring extra-time to beat the first division side, Shiels’s side were utterly dominate throughout, having an incredible 31 shots on goal and also enjoying 69% of the possession. Afterwards, many criticised the Kilmarnock manager for showing a lack of disrespect towards Brian Reid’s men by saying only one side had tried to win the game and said it would have been a travesty if his side hadn’t won the game. But in my eyes, Shiels was well within his rights to say what he liked about the Ayr side. Despite being a part-time club, Ayr had already beaten Inverness, Hearts and St Mirren on their way to Hampden. This was a game in which Ayr played for penalties, which when it was a derby game and a chance to return to Hampden was nothing short of disgraceful in my eyes. All Shiels did was being honest about the standard of his opponents in the game. More managers should be like this rather than trying to be nice to all. Shiels had just seen his side rack up 31 shots and enjoy 69% of the possession. In my eyes, Shiels was entirely justified to say only one side tried to win the game. The following week Shiels and Kilmarnock found themselves on the wrong end of a 1-0 Scottish Cup defeat to Hibs. Afterwards, Shiels had a pop at Hibs goalkeeper Graham Stack who he said had held onto the ball for long periods of the game. Some said he was having a moan for the sake of having a moan. But he had every right to be aggrieved. Stack had clearly timewasted during the game, and this is something that should be clamped down on by referees. Instead of being lambasted, Shiels should have been praised for his honesty. And now on to his biggest spat (so far). His argument with Hearts boss Paulo Sergio last week threatened to spill over into something akin to World War 3. And it certainly seems it won’t be ending anytime soon. Once again, I really enjoyed Shiels’s honesty. He merely put himself in Sergio’s shoes and said he would stand up to Hearts owner Vladimir Romanov over his handling of the team. For Sergio to label the Northern Irishman a “clown” was absolutely laughable. The Portuguese man was the manager who was the clown when he refused to shake Shiels’s hand not once but twice when they played at Rugby Park last weekend. And then Sergio had an altercation with Dean Shiels at the final whistle, which again showed his immaturity. 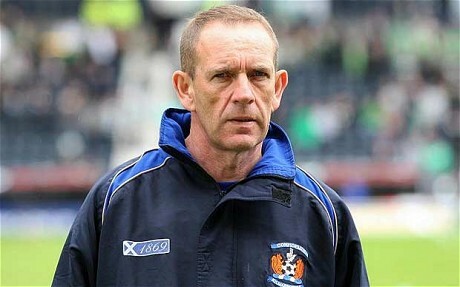 So let’s hear it for Kenny Shiels; a man whose positivity and honesty has been a breath of fresh air for Scottish football. Let’s hope it continues for a long time yet. Previous PostPrevious A World Without Rangers?